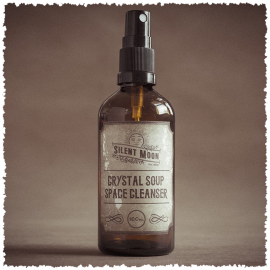 This is a bespoke space cleanser made in coordination with your own personal moon sign. The oils and elixir’s are chosen to support and enhance your moon sign and emotional centres reflecting them at their best. A little prayer in a bottle. This cleanser is simple, exquisite and effective. Very capable of shifting energies, it’s a workhorse blend. It’s accompanied me to two hospital stays, been with me at home and afar. Its effects are noticeable by even those who don’t regularly work with energy. This is a daily use product for me, and I love that it’s individually blended for my intentions. Moon Space Cleanser. A bottle of magic artfully crafted with authentic intention. Thank you so much. Looking forward to the additional offering for my sister. David Davies, Harrogate. In my beautifully magical treasure box that I received from Indra, was My Moon Space Cleanser. It was wrapped in exquisite gold tissue paper and decorated with embellishments. I was already enchanted with this offering. When I sprayed my aura and surrounding space, the smell is what took me back. It was perfect. Little notes of fragrance comforted me like old memories, immediately calming me and forcing me to breathe. This magic in a bottle, specially blended for me, is one of my favorite offerings of all times. Thank you Indra. I am so glad you like it. Yes, especially created for you. No two ever the same. But first let me say something about the packaging… I got several products (for which I have left reviews elsewhere)… but they all came in a glorious, love filled package. The attention to detail, the beauty, the obvious personal thought that had gone into it had me all misty (no pun intended)… I literally stared at it all a while before I could bring myself to open it. So… My Moon Space… I used it throughout the house, and in my Aura… the fragrance was stunning.. somehow Indra had channelled the perfect blend for me. I’m sensitive to energy and I gotta tell you this packs a punch! 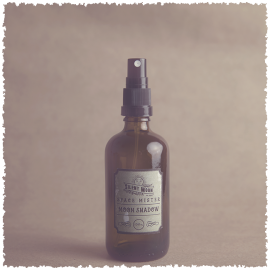 I immediately felt brighter each time I used it on me… and the house always smelled and felt Divine after a spray down. Yet another extraordinary experience with Indra and her incredible Silent Moon creations! I have been working with Indra for more than a year. I have used a large number of her amazing Elixirs, Misters, as well as her Moon Cards, Rituals, and Embracing your Moon Spirit Videos. She and her creations have assisted me through a time period of extreme (positive) change in my life, assisting me to overcome obstacles and help me to be well on my way to fulfilling my dreams. 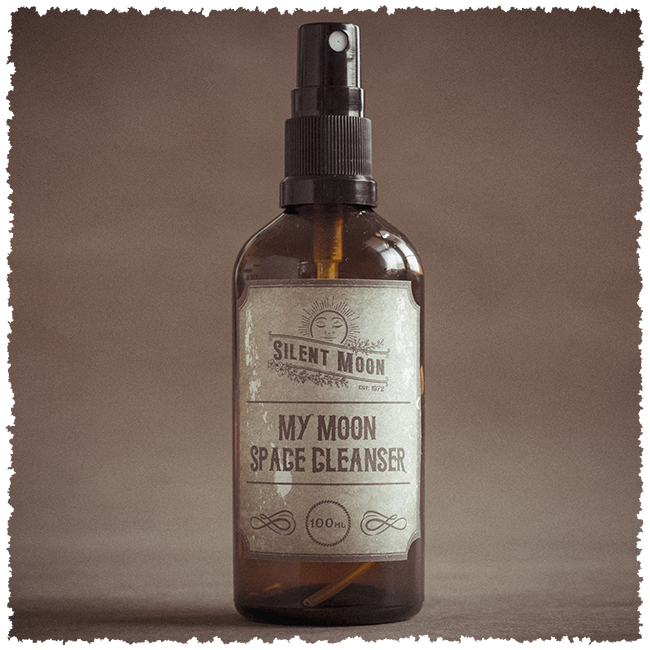 The bespoke My Moon Space Cleanser (Cancer for me) is greatly assisting me to connect with the next level of my personal Journey. I can not emphasize enough how much Indra has the ability to connect with ones energy, and with extreme Love, Care & Wisdom, and sends you exactly what you need, beautifully wrapped, creating a wonder~full experience for the fortunate receiver. The scent captivates and calms me, as well as banishes the negative while enhancing the positive vibrations. I use it to clear my home, my studio work space and as well as wearing it on my body to complete the clearing and enhancement of my aura and environment. I really feel the need to emphasize, that not only is Indra a truly gifted, intuitive and wise creator, she has the incredible “nose” of the finest perfumer. 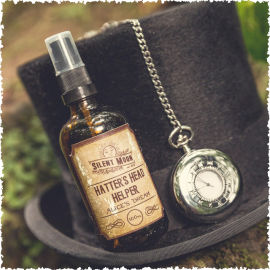 I had been using Jo Malone personal and home products for years – but no more – Silent Moon Imaginarium all the way! 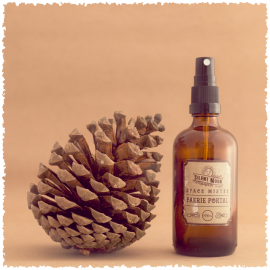 Do not hesitate to order this incredible and versatile Mister, it is truly a gift of self-love to do so. I wish I could give the My Moon Space Cleanser more than five stars!